Looking for Beach Access in Hawaii? Check Here! What’s more frustrating than trying to make your way to a beautiful Hawaii beach, only to find you can’t find the access to get there! What’s more, many landowners are “camouflaging” beach access in Hawaii by planting plants and blocking pathways to the ocean. Here in Hawaii, there are NO private beaches, which means you have a right to access the beach from designated access points (during hours of operation). But, how’s a visitor to find beach access in Hawaii? Especially in places like the North Shore, which has numerous access points, many of which are somewhat hidden? 1. “Oahu Beach Access: A Guide to Oahu’s Beaches through the Public Rights of Way”: This guide provides detailed information about 89 public rights-of-way (PROW) on Oahu, including photos, maps and directions, plus a brief introduction to the sometimes contentious history of preserving shoreline access. 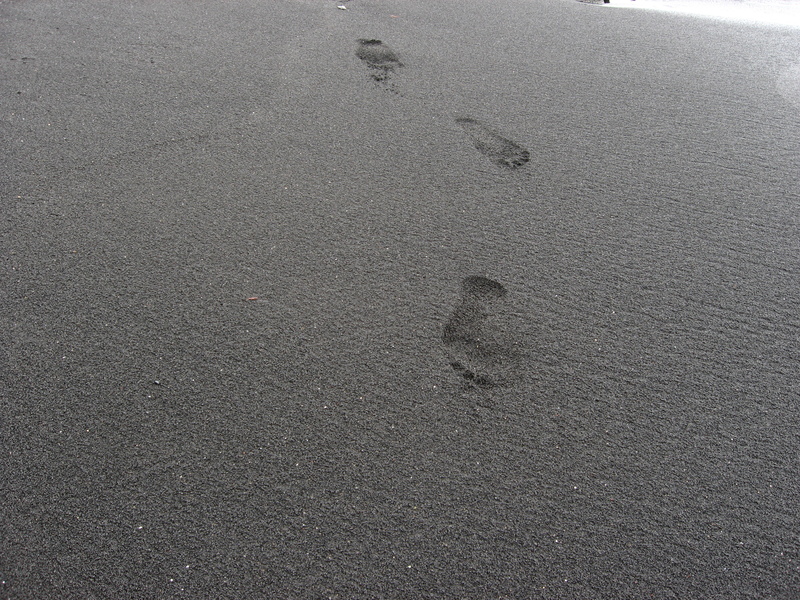 Looking to leave footprints in the sand? Not a problem. All Hawaii beaches are open to the public. The book lists 32 beach parks or PROWs on Oahu’s North Shore. The books’ authors say that some private landowners have been known to obscure or obstruct public lanes, a practice they hoped the book’s publication would deter. This guide, first published in 2012, is available for purchase at Barnes & Noble at Ala Moana Center, as well as from booksellers online. 2. Oahu Access: A map at 808ne.ws/oahuaccess allows users to click on coastal sites around Oahu to retrieve information about specific locations, including whether there are restrooms or lifeguards at the site. The website was developed by the National Oceanic and Atmospheric Administration with help from state and city agencies as an approximate guide to publicly accessible shoreline access points owned or leased by the municipal, state or federal governments. Government agencies are supposed to keep the map up to date, according to news reports publicizing the website in 2012. It is based on field surveys cross-checked with Tax Map Keys. 3. Beach Right of Way: The city Department of Parks and Recreation posts a list of beach rights-of-way at 808ne.ws/rowlist, but it does not provide specific locations in each case. 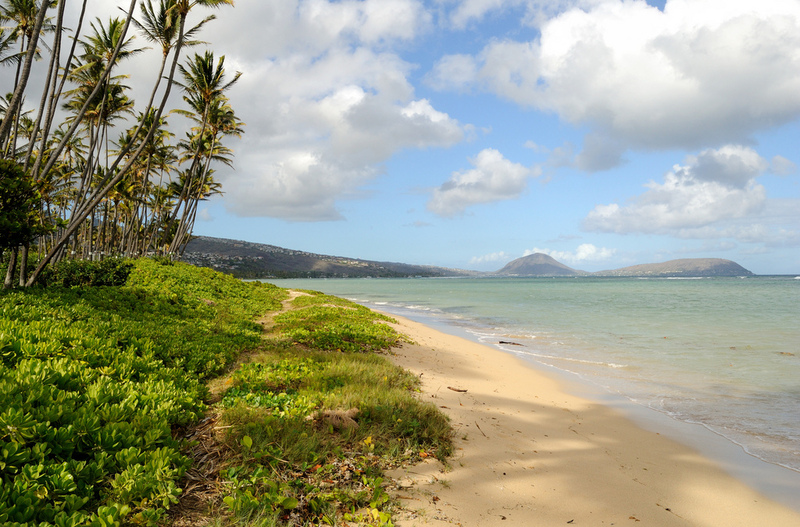 In Hawaii, private property stops where the vegetation ends, making sandy stretches public. It lists Emergency Response Locations (ERL) by number and general location, designating signs and pathways to Oahu’s shoreline for emergency responders (which the general public also can use). For examples, the location of ERL 259A is listed simply as “Au Street A,” while ERL 134A carries the more precise description “Kahala Avenue at Hunakai Street.” Still, it’s free, and simple to download and print the list, which comes in handy for locations where intersections are given. Another great resource? The knowledgeable guides at Hawaii Aloha Travel! Our guides are local and know the islands inside and out! When you book a Circle Island Tour, ask your guide about beach access points around the island, so you can find your way to some of the most beautiful beaches in the islands. Remember, our beaches are for everyone, and that goes for beach access, too! So, make sure you know which beach access is where, so you can make the most of our amazing beaches!